The 2014 January and February manatee mortality reports have been finalized. The finalized tables have been posted and the information can be viewed athttp://www.myfwc.com/research/manatee/rescue-mortality-response/mortality-statistics/2014/. Localize your news. Visit the Subscriber Preferences Page, click on “Questions” and select the region(s) of interest to you. For the photo and story go to the Facebook page of the Port of Palm Beach Post. Port of Palm Beach Post shared Fox Business‘s video. Lets keep a little bit of our integrity. We did what we did for a reason. At this point since we are going to trade with Cuba, we should not forget the lives of the soldiers in the Bay of Pigs, and the death of one of our President, although there was no direct tie to Cuba, and Lee Harvey Oswald who allegedly assassinated our then 35th President John F. Kennedy, and/or Russia. We owe the empirical leader, Fidel Castro, and his regime nothing. Google: John Harvey Oswald, Bay of Pigs, and Cuban Missile Crisis (Check Wikipedia for the results). Raul Castro is demanding the U.S. pay $1.1 trillion in reparations to Cuba and return Guantanamo Bay to apologize for imposing 56 years of sanctions. It’s that time of year again! 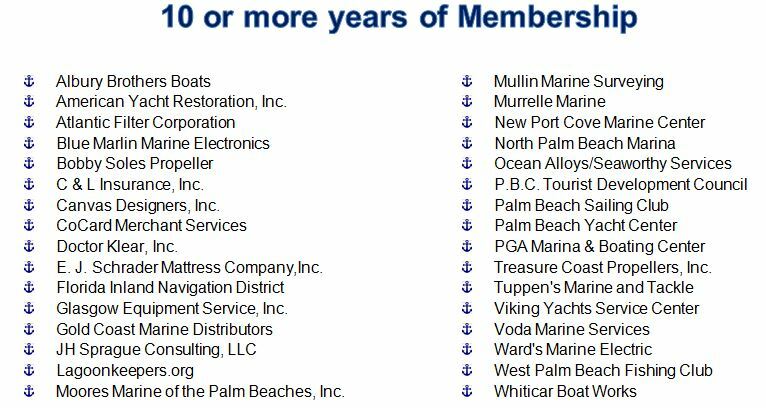 The Marine Industries Association of Palm Beach County is pleased to announce that plans are already underway for the 21st Annual Palm Beach Holiday Boat Parade and Toys for Tots Drive being held Saturday, December 5, 2015 starting at 6:00 p.m. in North Palm Beach and heading north up the ICW to the Jupiter Inlet Lighthouse. We hope you will consider becoming a new or repeat sponsor of this awesome, one-of-a-kind community event! Your boat entry is FREE, so consider a corporate boat entry and take advantage of even more exposure for your business as you pass the tens of thousands of spectators lining the parade route. Plus you’ll be eligible to win some of the $10,000 in cash and prizes given away at the end of the night! In addition to cash sponsorships, we are also in need of in-kind donations. This year’s parade will again feature a beautiful traveling fireworks display and the 16th Annual Toys for Tots Drive, which will include dockside donation pickups by designated volunteer toy boats. Last year’s effort generated close to 10,000 toys for needy children in our area making us the top toy collector for Toys for Tots in Palm Beach County. 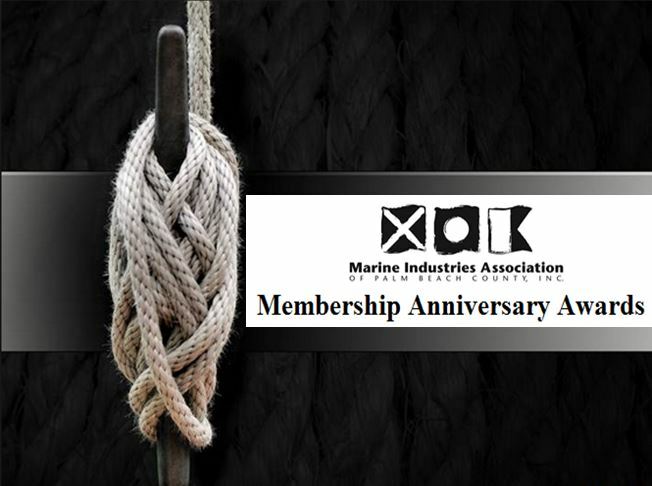 This event is a free gift to the community produced by the Marine Industries Association of Palm Beach County paid for entirely with MIAPBC funds and sponsorship dollars. This is why we need the support of our local businesses and communities. To that end, we are asking great businesses such as yours for monetary sponsorship, prize donations, and even encourage you to enter a boat in the parade. We also need all the help we can get promoting the event throughout the community. If you have questions or need further information please contact Alyssa Freeman at the Marine Industries office at (561) 863-0012 or alyssa@marinepbc.org. Included for you are the various sponsorship opportunities and benefits of sponsorship. Picture of the moon during the total eclipse on 9-27-2015. The Army Corp of Engineers continues to study the Port of Palm Beach inlet as Congress Woman Lowis Frankel slows her Presidents hope for “Change” through her powers in congress. The Port of Palm Beach has had intentions of bringing our International Sea Port at least up to date if not into the future. Some discussion concerning this matter was expounded by one of our concerned citizens (Charles Bantel ) at the last Commission meeting held on 9-17-15 at the Port of Palm Beach. See the Video footage from 1:59:09.08 to 2:02:21.00. The Florida Fish and Wildlife Conservation Commission (FWC) is offering free hunter safety courses in Palm Beach County. An Internet completion course field day will be held from 8 a.m. to 5 p.m. Oct. 4 at the Everglades Youth Conservation Camp, 12100 Seminole Pratt Whitney Road, West Palm Beach. Participants are encouraged to use a map to access Everglades Youth Conservation Camp because GPS will not correctly navigate to this location. A traditional hunter safety course also will be held from 8 a.m. to 5 p.m. Oct. 3 and 4 at the Everglades Youth Conservation Camp. Students are not required to provide any documents from the Internet for this course. An adult must accompany children under the age of 16 at all times. Students should bring a pencil and paper with them to take notes. People interested in attending this course can register online and obtain information about future hunter safety classes at MyFWC.com/HunterSafety or by calling the FWC’s South Region Office at 561-625-5122. Karenia brevis, the Florida red tide organism, was detected in background to very low concentrations in 4 samples collected alongshore of Sarasota County, in very low concentrations in one sample collected offshore of Manatee County, and in background concentrations in 3 samples collected offshore of Charlotte County in Southwest Florida. Karenia brevis was also detected in very low to low concentrations in 4 samples collected alongshore of Gulf County in Northwest Florida. Additional samples collected throughout Florida so far this week did not contain K. brevis. Sampling efforts will continue and a full report will be available on Friday, September 25, 2015. This information, including maps and reports with additional details, is also available on theFWRI Red Tide website. The website also provides links to additional information related to the topic of Florida red tide including satellite imagery, experimental red tide forecasts, shellfish harvesting areas, the FWC Fish Kill Hotline, the Florida Poison Information Center (to report human health effects related to exposure to red tide), and other wildlife related hotlines. The FWRI HAB group in conjunction with Mote Marine Laboratory now have a facebookpage. Please come like our page and learn interesting facts concerning red tide and other harmful algal blooms in Florida. This is a 40 hours per week OPS position. 2 years’ experience working as a master/marine mechanic with strong customer service focus. Follow industry safety guidelines and procedure. Skill in the use of common bench and hand tools and the equipment used in maintenance and repair work. Ability to plan organize boat maintenance and repair work, read and write, interrupt blue prints, take accurate measurements, perform basic math, and understand, apply, regulations, policies and procedures. Ability to work closely with FWRI Maintenance Superintendent, Safety Program Officer, Program Researchers, on preventative maintenance programing, all safety requirements and operational needs of FWRI. Follow verbal and written instructions; communicate effectively both verbally and in writing. Ability to easily lift 40 pounds. Ability to order supplies, equipment, track expenses and assist in the billing process. Good working knowledge of Microsoft office software, especially Outlook. Perform preventative maintenance and repair of boats, boat engines, trailers, buildings, grounds, equipment and other miscellaneous items as directed. Helping to create and maintaining a boat, boat motor, and trailer preventative maintenance program. Assist the Safety Program Officer in the routine inspection of all boats, boat motors, and trailers. Perform minor repairs on all plumbing, electrical and communication equipment. Perform repair/alterations of building woodwork (partitions, door, cabinets, and special scientific furniture at FWRI St. Petersburg). Perform/assist in the hurricane preparedness program. Perform setup and take down of Marine Quest outreach project. Access the Work Order system, print work requests and close out completed work orders. Perform other related marine and facilities duties as required. Applicants are required to submit a complete, up-to-date, State of Florida Employment Application Form electronically in People First (http://peoplefirst.myflorida.com) by the closing date listed. Resumes and supporting documentation may be submitted at the same time you are applying online, faxed, or mailed to People First, but do not replace the requirement for a completed State of Florida Employment Application Form. If you experience technical difficulties during the application process or when attaching documents, call People First staffing at 1-877-562-7287. If unable to attach supporting documents to your application, they may be faxed to the People First Service Center at 1-888-403-2110. Be sure to include the Requisition number for the position to which you are applying on each page of your faxed documents. WHAT IS OPS EMPLOYMENT? Other Personal Services (OPS) employment is a temporary employer/employee relationship used solely for accomplishing short term or intermittent tasks. OPS employees do not fill established positions and may not be assigned the duties of any vacant authorized position. OPS employees are at-will employees and are subject to actions such as pay changes, changes to work assignment, and terminations at the pleasure of the agency head or designee. Applicants requiring a reasonable accommodation, as defined by the Americans with Disabilities Act, must notify the agency hiring authority and/or the People First Service Center (1-877-562-7287). Notification to the hiring authority must be made in advance to allow sufficient time to provide the accommodation. The State of Florida hires only U.S. citizens and lawfully authorized alien workers. An Employment Eligibility Verification Check will be conducted in the E-Verify System which is a federal government electronic database that confirms the identity and employment eligibility of all persons hired to work in the United States. Official Florida Fish and Wildlife site . Join us for a cocktail reception to honor long time members! If your business name is on the list please email Stephanie@marinepbc.org your company pictures for our slide show. There will be a raffle for a $100 gift certificate to Sandpiper’s Cove courtesy of Old Port Cove Marina!